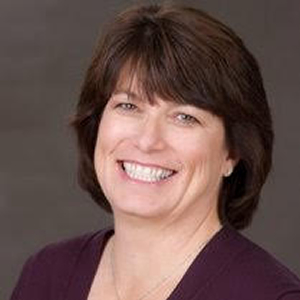 Kim Axelrod has spent over a decade helping individuals and organizations productively manage conflict and change. Kim is a Certified Mediator and has worked with clients including Fortune 100 companies, non-profit organizations, governmental agencies, and school districts. Through her coaching career and previous role as Ombudsman with Volunteers of America, Kim has extensive experience helping people and groups in challenging situations find clarity and, ultimately, opportunities for growth. Kim helps team members work through their preconceived assumptions to find common ground and develop a shared mission. Kim believes that most people have the answers they need within themselves, and that it’s her role to ask the questions that help her clients get past their sticking points. Kim’s coaching helps HumanPoint clients increase productivity, enhance workplace satisfaction, and build the trust a team needs to thrive. Kim has developed and delivered programs to coach clients at various management levels on topics such as conflict resolution, communication skills, and leadership. Prior to her role at VoA, Kim was a Program Design and Development Consultant to companies including Microsoft and Sharp. She also spent ten years in management at Hewlett Packard. Kim earned a Bachelor of Science degree in Operations Management from Arizona State University, and a Master of Business Administration from Santa Clara University. She was a Founding Trustee and President of the Lake Washington Schools Foundation, and she has served on the boards of ParentNet and the Children’s Response Center.